This year we’re dividing our annual Barnraiser into two exciting events. On May 11 – Come Home For Artbarn, an adults-only celebration,features a catered dinner, wine & beer, and fundraising efforts to keep Artbarn a strong asset to the Brookline community. 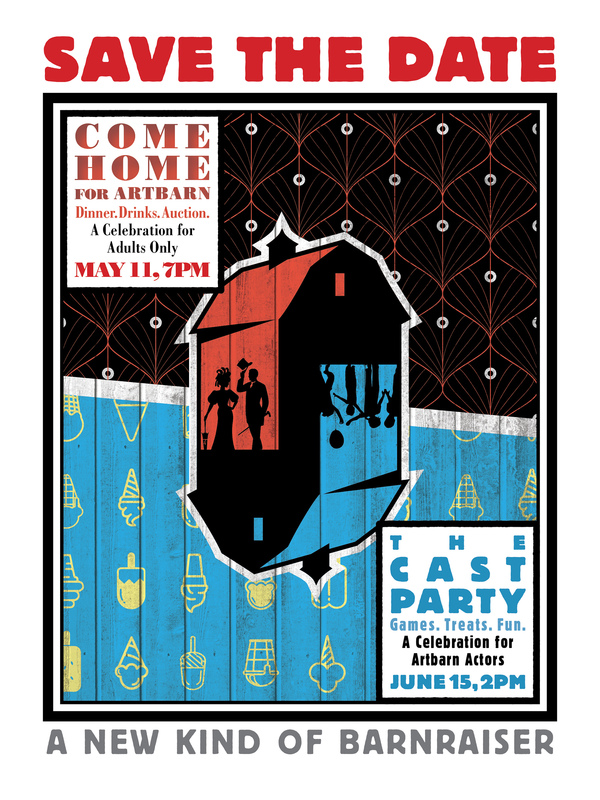 On June 15 –The Cast Party offers a chance for all the actors who crossed our stage this season to gather for an afternoon of cast bonding, entertainment and Artbarn fun. Our 2019 Barnraiser – two fabulous ways to support and celebrate Artbarn Community Theater. Please save the dates. More details to come.